- Devise innovative approaches for delivering tailored solutions leveraging advanced domain knowledge, technology competency and industry exposure. - Establish & develop strong professional relationships with Product Management, Analytics and Technology groups and acts as the Engineering anchor. - Collaborate with technical developers; review deliverables for accuracy, quality, application performance, and completeness. - Create/enhance reusable assets & frameworks. - Develop prototypes to demonstrate illustrate the use of new technologies within our Products. 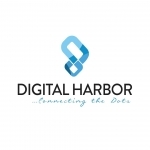 - Contribution to the strategic vision of Digital Harbor's product. - Deeply conversant in technologies like Java/J2ee, Java Script, XML, DOM/SAX Parsers, HTML, CSS, HTTP/s, C++, Jboss, JSP, EJB 2.0, Struts 2.0, Servlets, Kodo (ORM), JMS, RMI, Quartz, ANT, drools, various file Systems, XML, DB (SQL, Oracle, DB2), DMS, Web Services, LDAP integration. - Has built or integrated tools like Document Management System, Work Flow management, Offline Capability, Integration frameworks. - Strong knowledge of SQL, Relational databases and Data Modeling. Knowledge of distributed systems, concurrency, scalability, and fault tolerant designs. - Strong verbal, presentation and written communications skills for technical audiences; able to explain and drive technical solutions to technical teams; highly persuasive, Outstanding leadership and team-building skills. - Experience giving technical leadership to engineering teams. - Experience working on complete end-to-end software cycle (from inception up to production deployment). - A substantial track record of success in bringing innovative software products to market is a MUST. - Very strong background in Java technologies. - Ability to maintain 'big picture' focus and lead engineering in a rapidly evolving technology marketplace.